FIFA president Gianni Infantino is doubling down on his Club World Cup plans with a proposal for an expanded annual tournament despite European soccer's resistance to any competition that challenges the supremacy of the Champions League, a person with knowledge of the talks told The Associated Press. The revised proposal amends an initial plan to play a 24-team Club World Cup every four years. The new format will be discussed at the FIFA council meeting in Rwanda on Friday, the person said on condition of anonymity because the discussions were confidential. UEFA has stymied Infantino's attempts since March to gain approval for the new FIFA competitions, which would have $25 billion of income guaranteed by an international consortium including Japan's SoftBank. The proposals, which include a global Nations League as a mini-World Cup every two years, were formed by FIFA to eliminate two little-regarded competitions: the current annual seven-team Club World Cup held in December and the Confederations Cup for international teams held every four years. The proposal only covers men's soccer and does not include new competitions women. The original plan sent to FIFA council members in April said a 24-team Club World Cup would be worth at least $3 billion for each edition, played in June-July every fourth year from 2021 through 2033. Half the slots would be taken by European clubs, ensuring the competition could weaken the status of the UEFA-run Champions League. 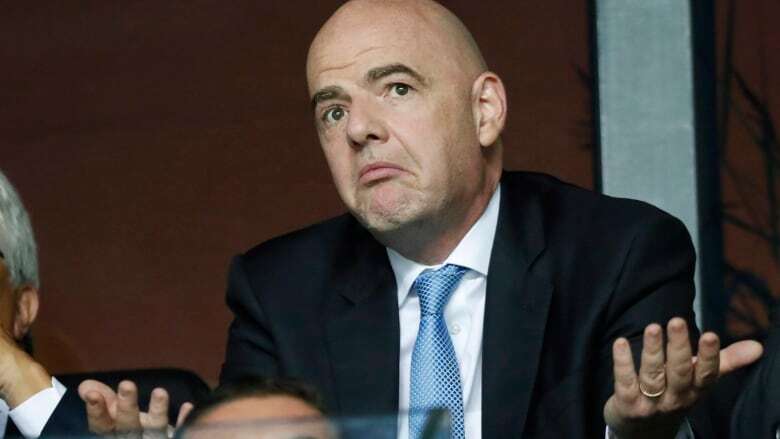 But discussions in recent months with global soccer leaders have encouraged FIFA to propose keeping the annual format but with more teams, said the person, who added that Infantino favoured a July-August event but he is open to another slot. Playing in the northern hemisphere summer would pose a threat to the annual preseason friendly tournament for Europe's leading clubs which is organized by Relevent Sports, a company controlled by Miami Dolphins owner Stephen Ross. While Infantino has convinced some teams to back his plans in public, including Real Madrid and Barcelona, the umbrella European Club Association has called for the workload on players to be reduced rather than increased. Infantino won't use the meeting in Kigali to gain approval for the final configuration of competition formats but he wants to secure agreement on the principle that the existing Club World Cup and Confederations Cup need to be replaced, the person said. FIFA would then spend the coming months consulting further on the formats. Infantino is pressing ahead with trying to implement the biggest revamp of soccer tournaments this century after gaining support from the regional confederations apart from UEFA, the person said. FIFA would have a 51 percent stake in the joint venture with the investors.